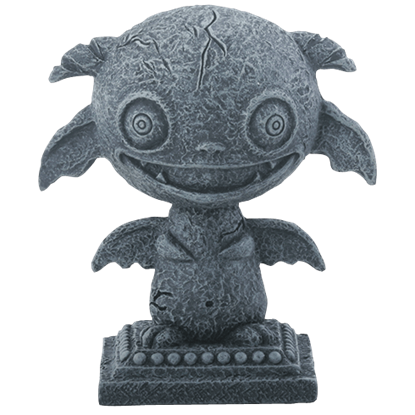 The Agamon Baby Gargoyle Statue is an adorably offbeat addition to any statue collection, shelf, or desk. This fantasy statue is a four-legged beast with big eyes, tiny wings, and plenty of teeth, all hand painted like ancient stone. The Armoured Guardian Gargoyle Statue would look great on any desk or table you put him on. This guardian statue features a gargoyle in pauldrons and bracers, crouched over in a battle stance. This statue is made of cold cast resin. 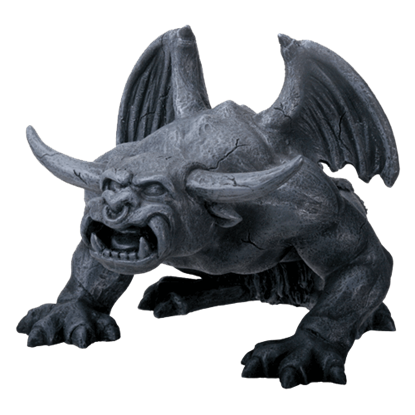 This cute little gargoyle would make a great gift for anyone, young or old! This little kid is just starting to grow! His horns and wings are just starting to sprout. The little fella would make a great accent piece in your home. This petite monster features a round head, adorned on either side by drooping ears and short spiral horns. 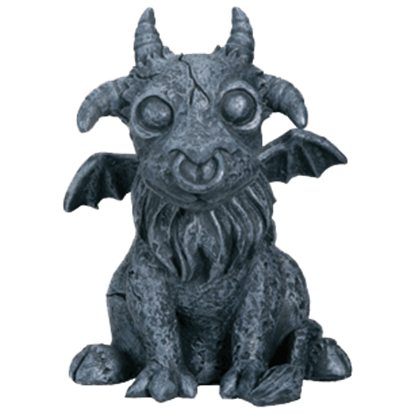 With its big eyes and wide grin, the Baby Hades Gargoyle statue makes an adorable addition to any statue collection. 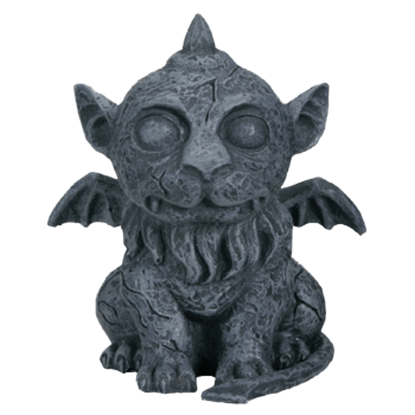 This cute gargoyle would make a great gift for anyone, young or old! This lion cub is just starting to grow. His mane is just coming in, and his wings are starting to sprout. The little fella would make a great accent piece in your home. 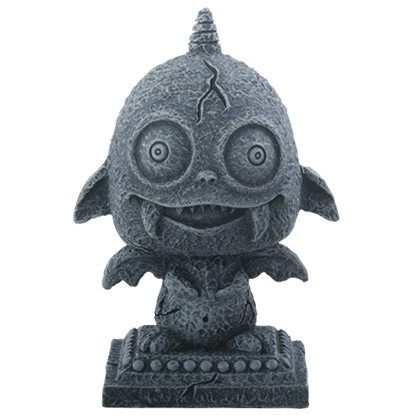 With its zany expression, and big, round eyes, the adorable Baby Poseidon Gargoyle Statue is sure to delight all fans of fantasy statues. Made of cold cast resin, this figure is hand painted to mimic a worn stone appearance. 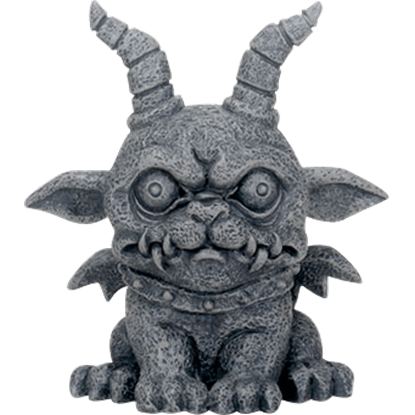 The Baby Zeus Gargoyle Statue wears a wacky face, making it a fun addition to any statue collection. 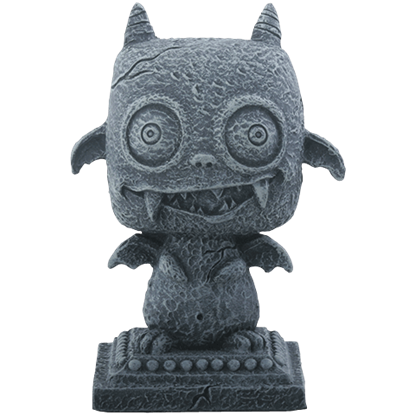 This little monster is made of cold cast resin that has been textured and hand painted to look like worn stone. 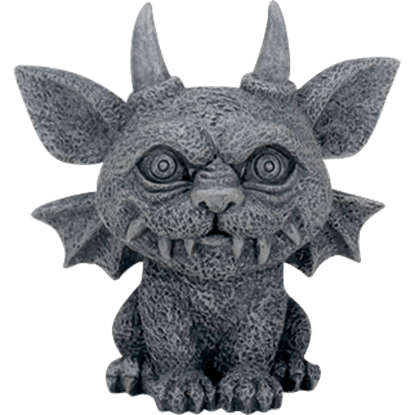 Equal parts ominous and adorable, the Bast Baby Gargoyle Statue adds a touch of gothic style wherever it decorates. This mini gargoyle figure can be placed just about anywhere. Careful hand painting gives it an ancient stone look. This gargoyle statue features a gargoyle leaned over with his muscles bulging! His mouth is open and his wings are back signaling to onlookers that he is ready to attack. 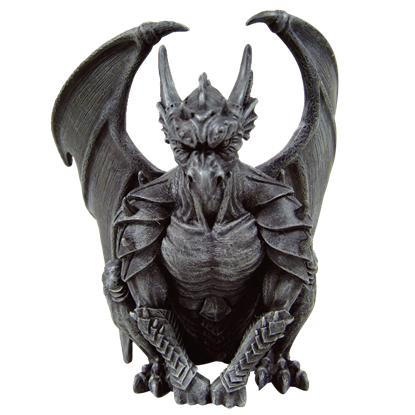 This gargoyle is an excellent accent for any gothic home. 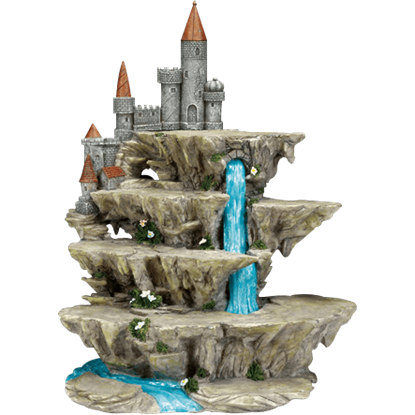 Unicorns can frolic, knights can battle, or dragons can roar on the Cascading River Castle Display Stand. The choice is yours! This versatile fantasy display stand is the perfect home for your own favorite mini statues and figurines. Have you ever wanted to create a medieval scene? If you have knight statues, then you can! 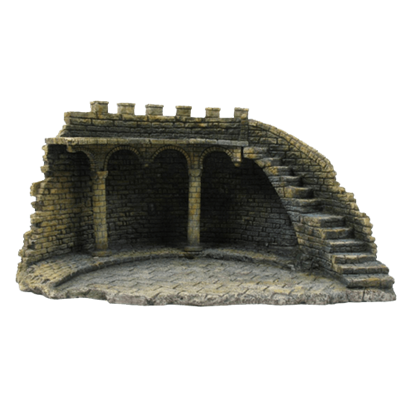 This Castle Courtyard Display recreates a small corner of a grand castle or fort that you can use to display some of your knightly statues! 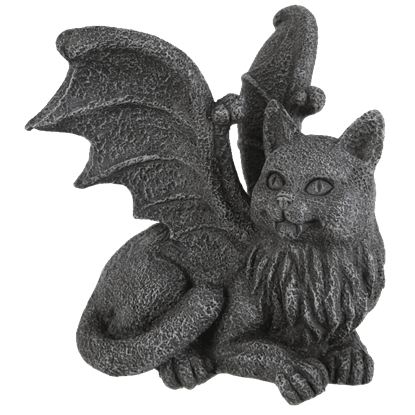 The Cat Gargoyle PC Topper depicts a gargoyle with the body of a cat, wings extended from its back, and small fangs in its mouth. It is a great decoration to place on your monitor or computer tower in your home or office.